After Pentecost, the paralytic man was healed through Peter and John at the gate of the temple. It was “in the name of Jesus Christ of Nazareth” that they said to him, “Rise up and walk,” and as soon as the people in their amazement ran together to them, Peter declared that it was the name of Jesus which had so completely healed the man. As the result of this miracle and of Peter’s discourse, many people who had heard the Word believed. The following day, Peter repeated these words before the Sanhedrin, “By the name of Jesus Christ of Nazareth… does this man stand here before you whole”; and then he added, “There is none other name under heaven.., whereby we must be saved.” – Acts 4:12) This statement of Peter’s declares to us that the name of Jesus both heals and saves. We have here a teaching of the highest import for divine healing. We see that healing and health form part of Christ’s salvation. In heaven even our bodies will have their part in salvation; salvation will not be complete for us until our bodies shall enjoy the full redemption of Christ. Why then should we not believe in this work of redemption here below? Even already here on earth, the health of our bodies is a fruit of the salvation which Jesus has acquired for us. We see also that health as well as salvation is to be obtained by faith. The tendency of man by nature is to bring about his salvation by his works. While for the body, he makes use of well-known remedies; why then should he seek for divine healing? Happy is he who comes to understand that it is the will of God to heal; that God wills to manifest the power of Jesus, and also to reveal to us His Fatherly love; to exercise and to confirm our faith, and to make us prove the power of redemption in the body as well as in the soul. Oh, let us believe in the name of Jesus! Wherever the Spirit acts with power, there He works divine healings. If divine healing is seen but rarely in our day, we can attribute it to the unbelief of worldlings and the want of zeal among believers. Let us pray earnestly for the Holy Spirit, let us place ourselves unreservedly under His direction, and let us seek to be firm in our faith in the name of Jesus, whether for preaching salvation or for the work of healing. Dear heavenly Father, grant us healing today as in the days of Pentecost, so that we may glorify the name of Jesus. It is sad to see how little the power of His name is recognized today, how little it is the end of preaching and of prayer. Grant us the treasures of divine grace, of which Christians deprive themselves by their lack of faith and zeal, which are hidden in the name of Jesus. Awaken our consciences, and bring our hearts to obedience. We know, oh God, that you are ready to manifest the all-powerful healing of Your Son, and to do it in a striking way in body as well as in soul. Let us believe it for ourselves, let us believe it for others, for the circle of believers around us, and also for the Church in the whole world. Let us ask great things in Jesus’ name, counting on His promise, and we shall see You still do wonders by the name of Your holy Son. I thank you, my Lord Jesus, that You are both the Savior of my soul and the healer of my body. Amen. Categories: HEALTH, HEALING & FAITH | Tags: Divine Healing, Jesus Christ, Miracles., Power of God, PRAYER | Permalink. When King Jehoshaphat faced the greatest crisis of his life – an enormous invading army from Moab and Ammon – he turned to God in an exemplary manner. He led his people to prayer and fasting, as we all should do under seemingly impossible circumstances. The next morning, the LORD God gave them a miraculous victory – just as the prophet had predicted. The assembled men of Judah marched in accordance with the words of the prophet to the wilderness of Tekoa. As they marched forth, Jehoshaphat stood and called upon them to trust firmly in the Lord and His prophets. He ordered them to march, not for battle, but to assure themselves in faith, of the wonderful help of the LORD. He placed the singers of the Lord in front singing praise in holy array, marching forth before the army and thanking the Lord in advance for the help He would deliver. When they began to sing and praise the LORD, their enemies were discomfited and began to fight among themselves. They were smitten by God without Judah having to lift a hand against them. In times of crisis we should also fast and pray, believe upon His Word, and seek out God’s true prophets for understanding. In addition to His written Word, Jesus has appointed prophets in the New Testament church to give us special revelation from God during troubling events, as well as day-to-day guidance for our spiritual lives. Contrary to what dispensational churches falsely teach, the Eternal God is still speaking today through His true prophets. They are men and women of God who He has raised to preach, teach, and prophesy under the anointing of the Holy Spirit. Only when we listen and obey God’s prophets shall our Christian lives be firmly established, and everything we do shall prosper and succeed. Categories: Uncategorized | Tags: 2 Chronicles 20:17-20, Believe, Deliverance, Divine Healing, Faith, Fasting, God's Promises, Miracles., New Testament Prophets, Power, Praise, PRAYER, Victory over the enemy | Permalink. By age 34, Nasir Siddiki, a successful businessman, had made his first million, but money meant nothing to him on his deathbed. Diagnosed with the worst case of shingles ever admitted to Toronto General Hospital, his immune system shut down and doctors left him to die. But Jesus had other plans for his life. He appeared to Nasir at the foot of his bed and miraculously healed him. Read the entire story in our latest newsletter. 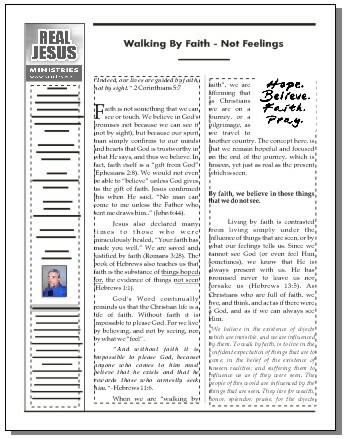 Click here to download your free copy. Categories: Uncategorized | Tags: Divine Healing, Jesus appears to dying man, Real Jesus Newsletter | Permalink. 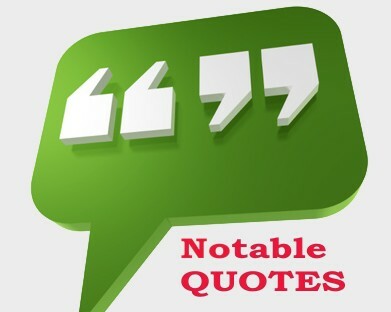 Categories: NOTABLE QUOTES | Tags: Christian Church, Divine Healing, Healing, John 14:12, Prayer for the sick, unbelief | Permalink. Smith Wigglesworth (1859-1947), often referred to as ‘the Apostle of Faith,’ was one of the pioneers of the Charismatic revival that occurred a century ago. Without human refinement and education he was able to tap into the infinite resources of God’s power to bring divine grace to multitudes. Thousands came to Christian faith in his meetings; hundreds were healed of serious illnesses and diseases as supernatural signs followed his ministry. A deep intimacy with his heavenly Father and an unquestioning faith in God’s Word brought spectacular results and provided an example for all true believers of the Gospel. With your donation of $25 or more to our ministry, we’ll send you the gift of this book. May the LORD richly bless you for supporting God’s work through 4JESUS OUTREACH! 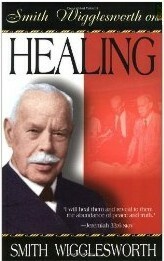 Categories: BOOKSTORE | Tags: Baptism of the Holy Spirit, Divine Healing, Miracles., PRAYER, Signs & Wonders, Smith Wigglesworth | Permalink. 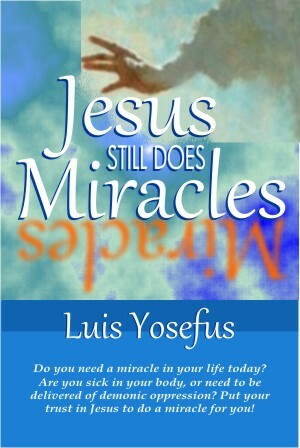 Do you need a miracle in your life today? Are you sick in your body, or need to be set free from an addiction? Do you need deliverance from demonic oppression? Put your trust in Jesus to do a miracle for you! If He did it almost 2,000 years ago, He can still do it today. Believe Him at His Word. He is not only your Savior, but also your healer, deliverer, and provider. With your donation of $15 or more to our ministry, we’ll send you the gift of this book. Categories: BOOKSTORE | Tags: Deliverance from Demons, Divine Healing, Faith to Move Mountains, Financial Miracles, Freedom from Addictions, Jesus Still Heals Today, Mastering the Elements, Miraculous Answers to Prayer, Raising the Dead, Supernatural Gifts of the Holy Spirit, The Baptism in the Holy Spirit | Permalink. KEISIA Likes this on our Facebook page. COMMENT FROM DAVID FILCON: “Dear Pastor Luis,I have looked at Real Jesus Ministries homepage and noticed of its newly cool look today.The wonder sign of life I really have felt all day today is from sleeping well. I feel alive and well from a full night bedtime. Thank God for the thought of loving ourselves. Thank you very much for every newsletter, your spiritual topic, and thoughtfulness. God bless Real Jesus Ministries. Your brother In Christ, filcon. Categories: Are Signs & Wonders for Today? | Tags: and Miracles for today, Casting Out Devils, Divine Healing, Signs, Wonders | Permalink.